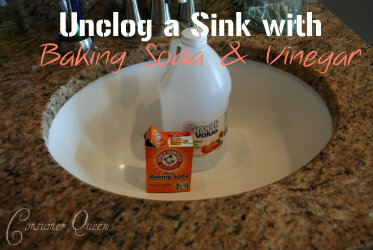 If your sink is draining a little slow, sprinkle 1 cup baking soda followed by 1 cup vinegar. Be sure to stop the drain so that the foaming action will stay confined tot he drain. Let it do its foaming thing and then rinse with cool water! Perfect! Added bonus: Let the kids watch. They will think it’s cool!